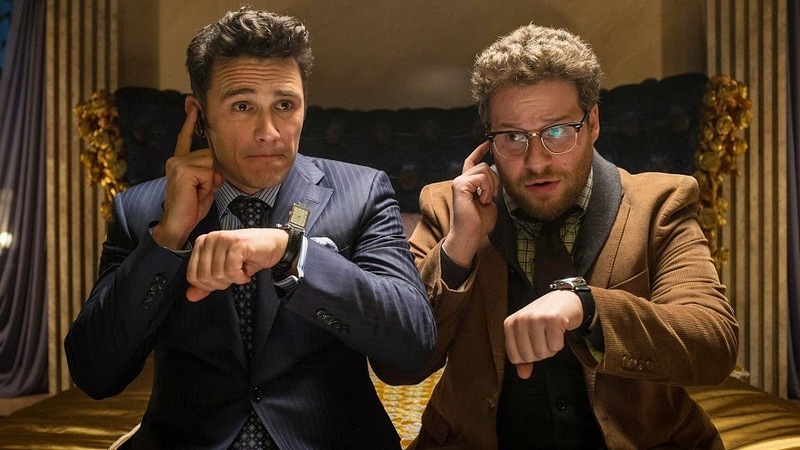 Bart and I felt it was our patriotic duty to make our first podcast of 2015 about Seth Rogen and Evan Goldberg's The Interview. It was, after all the biggest story of the holiday season. The great irony is that, had it not spurred an international incident, this would be a fairly amusing but ultimately somewhat forgettable film. There's plenty to laugh at, but it all feels fairly incidental. The Interview makes you chuckle, whereas Rogen and Goldberg's last movie This Is The End frequently made me lose my breath from laughing. Franco plays the whole thing SUPER broad, which most people will find either very funny or very off-putting. Bart is firmly in the latter while I err more towards the former, although I'm a bit of a Franco apologist. We also delve a little bit into the Ant-Man teaser and Fast & Furious mastermind Justin Lin taking over as the director of the next Star Trek movie, as well as William Shatner's plan to drive cross-country in one of the strangest looking automobiles I've ever seen. But fear not, this is a relatively short episode. Next week we'll be committing to our new battle plan of two shorter podcasts: The Daley Planet will focus solely on movie news while The Daley Screening will break down a single movie each week. Who knows how long we can keep that going, but we'll soon find out. Next Week: Paul Thomas Anderson's Inherent Vice!